Provides scientific and other material regarding the medical use of cannabis (marijuana) and its legal status under the laws of the United States. Cannabis Wave is a community of cannabis people, places, news, opinion and science. Join us on this adventure. 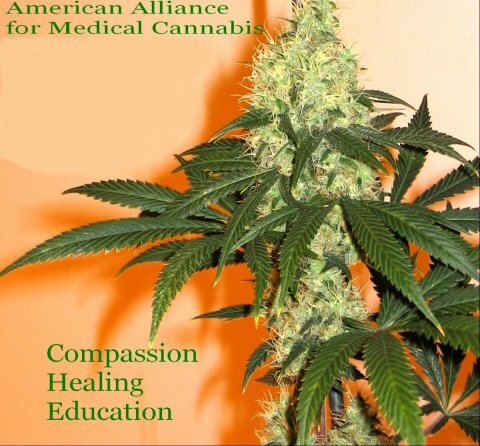 Support the Cannabis Therapeutics Certification project. Please go to our donation page to support this campaign. What Dose of Cannabis Is Right for You? Cannabidiol (CBD): THE MIRACLE DRUG? We demand the freedom to grow and use Cannabis! "Cannabis Forgetting and the Botany of Desire" - Michael Pollan delivers this Avenali Lecture on the stories of four familiar plant species: the apple,the tulip, the potato, and cannabis. Marijuana Doesn't Cause Lung Cancer - Marijuana Policy Project video. "Medical Cannabis, Past & Future" - Michael Aldrich, PhD examines medical Cannabis in the 21st century. "Waiting to Inhale" - Trailer of the documentary, "Waiting to Inhale" which examines the current debate over legalizing medical marijuana in the United States. Participate in a Research Study: Are people using marijuana as a medicinal sleep aid? Does Cannabis medicine reduce problem drinking? Poll results: What is the best medical cannabis strain? Poll results: What is the major condition you treat with Cannabis? MEDICAL USE: Can Cannabis Help Multiple Sclerosis? This website is dedicated to patients, caregivers, physicians, health care professionals, families, decision makers, and the general community. We at AAMC hope that the information and links prove educational. AAMC recognizes that under the Controlled Substances Act, possession, use, distribution, sales, furnishing, cultivation, and transportation of cannabis are Federal offenses despite State Medical Cannabis laws. Readers should take caution to not violate Federal law. AAMC does not sell or furnish any cannabis products. What we offer is education. Our own experiences, plainly stated, offer the best hope that decision makers will finally end the prohibition of medical cannabis. AAMC is not responsible for the actions of others including those "linked" in this website. Nor is AAMC responsible for opinions expressed in this website other than to state our policy that dialogue and discussion can only be healthy.